Shelbie is using Smore newsletters to spread the word online. JOIN US FOR A HAWAIIAN LUAU! Hula on over the the CMS Gym for a Spring Dance you will never forget! There will be food, punch, dancing and hula contests! You will have an opportunity to have your picture made for only $2 and receive a printed copy on Monday. In addition to having your picture made, you can also purchase a fun souvenir. TICKETS ARE $5. YOU CAN PAY AT THE DOOR. The dance will be in the GYM. You DO NOT have to dress in Hawaiian themed clothes. You may come in jeans and a t-shirt. 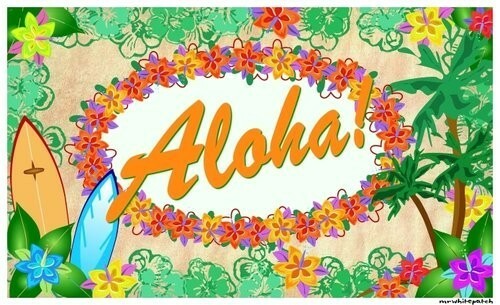 However, you can wear Luau themed APPROPRIATE clothes to the dance if you like. Your dress/shirt MUST have sleeves. Your dress length must not be shorter than three inches above your knee. You may wear flip flops/sandals. Your can NOT wear swim trunks. You must wear a shirt with sleeves. Everyone will receive a Hawaiian Lei necklace at the door when you arrive. Parents are not allowed to attend the dance, UNLESS they are a chaperone.